For the last few months solar activity has been at or near maximum. There are an enormous number of sunspots during solar maximum, while just a few can be observed during the solar minimum. 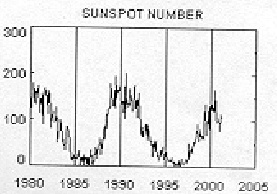 The plot below displays the number of sunspots as a function of years, clearly displaying the peaks in the last two solar cycles. The previous maximum occurred around 1989 and the ongoing just peaked. The sunspots are as-sociated with spectacular solar flares, bursts, sending billion tons of particles and charged protons toward the earth, nearly at the speed of light. Penetrating the earth's atmosphere, the re-sults are devastating. 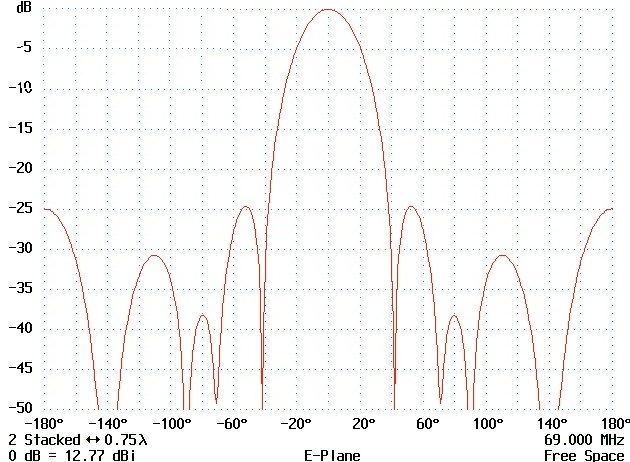 The flares interrupt short-wave radio communication. Solar activity can double or triple the occurrences and severity of co-channel interference TV reception outages, while DBS subscribers enjoy immunity. When severe co-channel interference strikes due to solar acitivity on low-band, every head-end engineer should be prepared for the identification of that particular interference. Missing the needed information? These days the list of potential offenders, the pertinent co-channel signal direction sheets, are available at incredible speed and accuracy The information should be per-manently posted on the wall of the head-end. 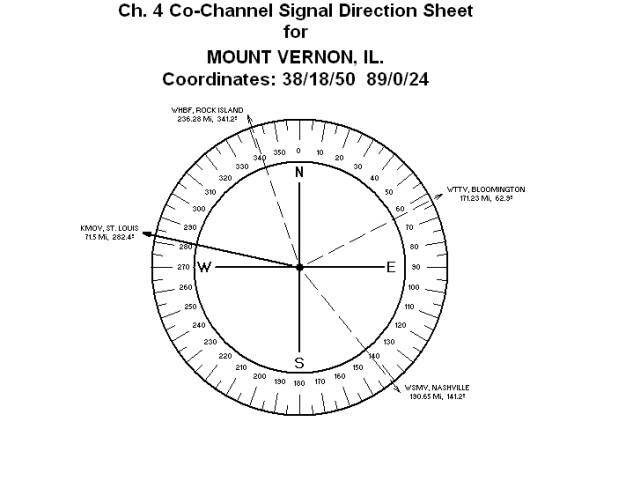 Occasionally those co-channel signal direction sheets present interesting surprises, such as the Channel 4 signal direction sheet developed for the Mt. Vernon, Il. antenna site. It shows that the two potential offenders, Channel 4, Bloomington and Channel 4, Nashville arrive from quasi identical relative angles. Consequently, the two-bay, horizontally stacked phased-array, designed to reject the Channel 4, Bloomington interference, will also protect the reception against Nashville, Tn. Despite the fact that the array was designed for Bloomington and Nashville, can we still expect any reasonable protection from the Rock Island signals? Study the Channel 4 antenna-array radiation pattern displayed below. The rectangular presentation permits accurate relative angle and interference rejection reading.